You may know what the word means, but this word has been one of the most searched terms on the internet for the past couple of years. Why you may ask? Well, this Anonymous isn’t just a word, its a group. This group has been responsible for a lot of DDoS (Denial of Service) attacks on government websites, given a lot of stolen information to WikiLeaks headed by Julian Assange, even going as far to crash the websites of MasterCard and VISA. This group has caused more trouble in a couple years, than many anarchist groups do in a lifetime. Here is a link to a video they released titled “What We Are Capable Of – THIS IS ANONYMOUS”. I not saying I am a part of this group by sponsoring the video provided via YouTube. 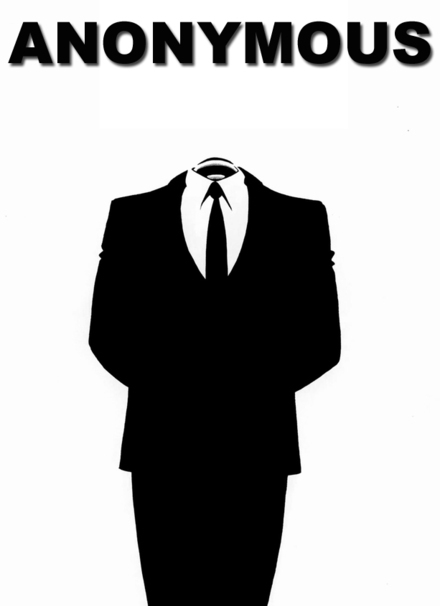 I figure this as an informative post about Anonymous, not biased in any way, shape, or form. This is what Anonymous released to the public to see what their mission was. If this should be interpreted in anyway, it should be interpreted as a documentary on what Anonymous supposedly stands for. By no means am I responsible for the content on here, neither am I sponsoring Anonymous and or their activities. Thank you. This is like the Colorless Gang from real life. I have a hell a lot of respect with these dudes. As do I. I do think a lot of info is being kept way to secret. I would like to know things, instead of being kept in the dark.